Our friends at Tullaun Castle – who we profiled a few years ago – are hoping that you will be their guests, as they are now booking rooms to stay overnight. I’m sure everyone has imagined how wonderful it would be to time travel. Well, now it’s possible! Over four years ago we embarked on the ambitious restoration of The Black Castle, a crumbling, Kennedy ruin replete with wet walls, that for no extra cost, also boasted a lovely patina of black and green (what were we thinking!) and now we would like to share our exciting news….The Black Castle has recently listed on Airbnb and Celtic Castles for a limited number of nights offering the most amazing and unique experience, “the overknighter” in The Great Hall. 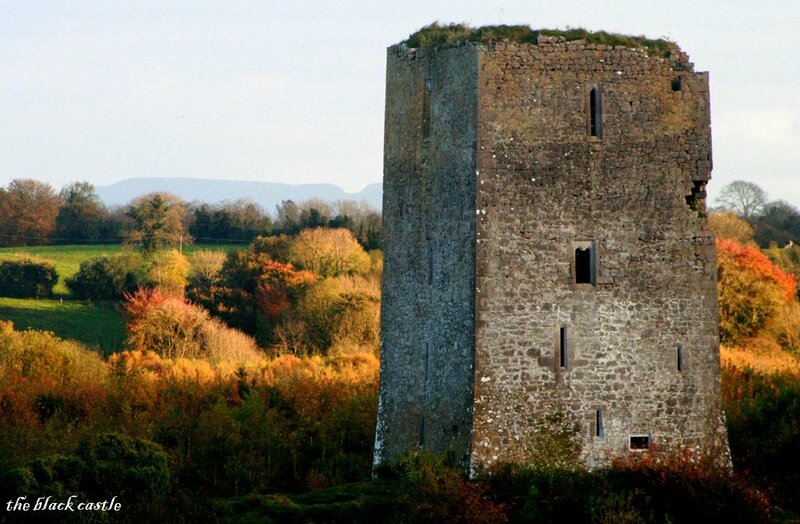 We have “travelled” the globe (via the internet), sourcing the most authentic, antique furniture our budget would allow, to recreate the atmosphere of a 16th century Irish tower house. With only candlelight and firelight providing illumination, it really does feel like stepping back in time. The “overknighter” is for two people maximum only and you will have the castle and its little “kingdom”exclusively to yourself. All profits from the “overknighters” will help the castle “earn its keep” by allowing us to continue the restoration of this wonderful, ancient building, ensuring that it will stand proud for another 500 years.